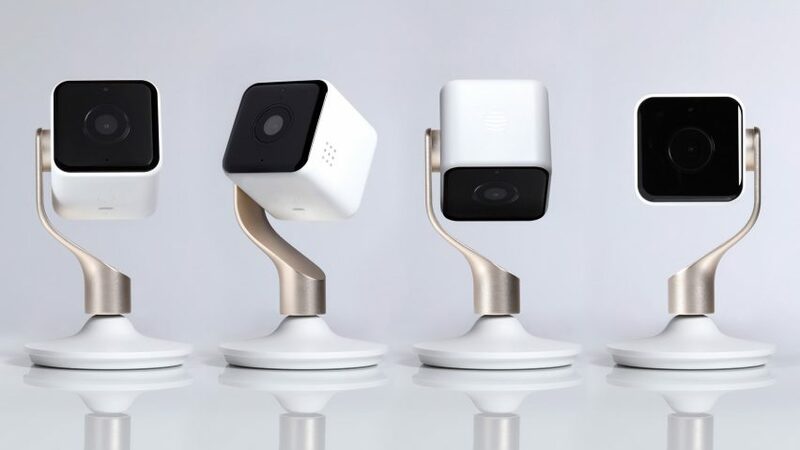 Yves Behar's design studio Fuseproject has created a cube-shaped indoor security camera that detaches from its base, which will launch at the Consumer Electronics Show next week. Fuseproject has once again teamed up with Hive, a sister brand of UK energy supplier British Gas, for which the studio designed an internet-connected thermostat in 2015. As well as now launching the thermostat in the US, Behar's team has produced a security camera for the company. The Hive View device begins recording once it detects motion or sound, and sends a notification to the user's smartphone to alert them. According to Hive, the camera can be set to detect people only, so that pets don't trigger the capture. The cube-shaped camera has a 130-degree field of view, and can be dismounted from its slender aluminium base to be placed anywhere in the home. "The lens provides a full 130 degree view with the spinning base, leaf-like curvature of the arm and camera attachment enabling users to cover the angle they want – meaning it will fit anywhere in the home and provide the recording needed," said Behar in a statement. The camera cube sits neatly on a flat surface, or the base – weighted with zinc for stability – can be mounted on a wall using a screw-on plate. The magnetic attachment system enables the camera to snap on and off the stand, while allowing power to flow between them while charging. A circular array of LEDs illuminates to indicate battery level, while a small light glows when recording is in progress. The device is turned on and off using a "discreet" button. The camera casing is made of plastic, and the entire unit comes in combinations of either white and champagne gold or black and brushed copper. New features have also been introduced for the thermostat, including compatibility with US air-conditioning systems, and a simple dial interface for scheduling heating and cooling programmes. Both the Hive Active Heating thermostat and Hive View camera will be presented at the Consumer Electronics Show, taking place 9-12 January 2018 in Las Vegas. The event will likely see the launch of myriad connected home products, following the debut of "first toothbrush with artificial intelligence" and a home robot that responds with facial expressions last year. Behar and Fuseproject have designed a variety of smart products, including a headband for monitoring restless sleepers, a robot security guard, and a crib that automatically rocks when it hears crying.